Linda Allred is known as the Hottest Ticket In Town. She is an expert in two of the most powerful belief-change modalities in the world, Self-Hypnosis and the energy work of Kinesiology. In addition, she is the co-author of the best-selling book, Answering The Call, published by Celebrity Press. The book became an instant #1 Best-Seller in two categories, “Marketing, and Marketing For Small Businesses” on Amazon the day it was released due to the message that so many people need in their lives. ... See More The book finally allows the reader to Answer Their Own Call in their journey through life, whether that is losing 10lbs, 100lbs, reducing stress, quitting smoking, charging what you are worth or making $100,000 or $1,000,000 in their business. Linda Allred, CEO of Linda Allred, LLC, explores the power of beliefs in keeping people from achieving weight loss goals, explaining that most people are unaware of their subconscious beliefs that support the bad habits that make sure they continue to experience the things they say they don’t want. 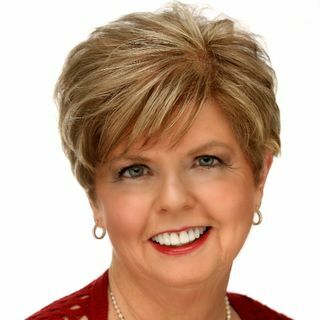 Linda Allred owner of Linda Allred, LLC, is a certified hypnotist and Kinesiology (Muscle Testing) Energy Expert. She has achieved great success in helping people lose weight, manage stress, make more money and run a successful business. Allred has posted a new article on her website entitled “There’s No Time Like the Present to Believe The Weight is Over!,” in which she proposes replacing beliefs in bad habits with new ones right now.